With its elegant, base-free lampshade, this lamp is really something special. 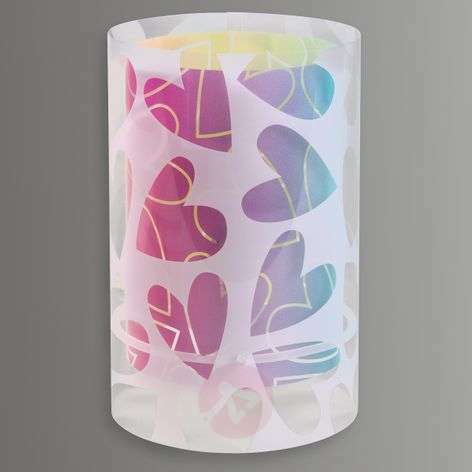 The lampshade features finely drawn hearts, which are then covered with a second layer of hearts on the outer lampshade. 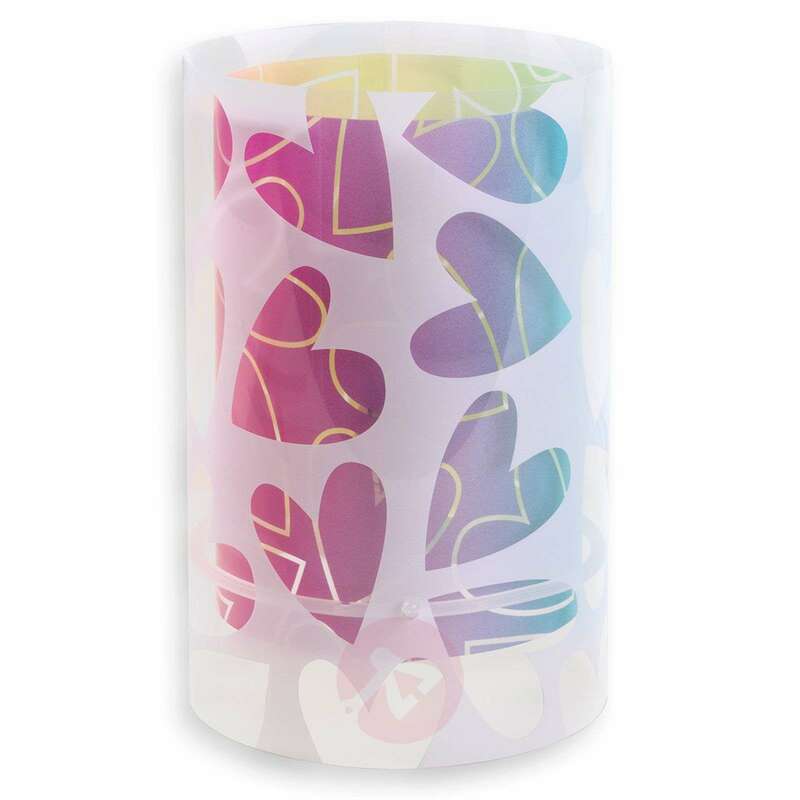 The result is a very delicate pattern, and one that makes the light an extraordinary furnishing object. 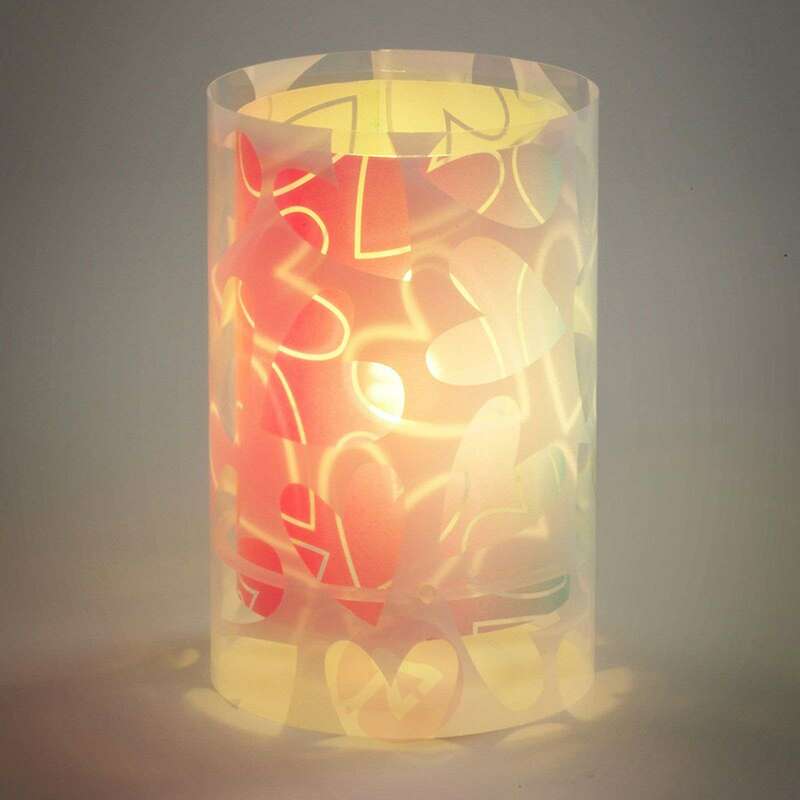 This lamp will create a very pleasant atmosphere, whether placed in a child’s bedroom or elsewhere in the home. When positioned on the desk or bedside table, this lamp will offer good light for reading before bedtime.